Who wouldn’t love snuggling up next to a big, furry puppy (or cuddling with a little one!)? If you can’t get enough of fluffy dogs and think it may be time to add one to your family, you’re in the right place. Get the low down on grooming and care, and check out a list of a few great fluffy dog breeds below. How much do fluffy dogs shed? Naturally, fluffy dogs come with a lot of hair. And you might be wondering what that means when it comes to your carpets, furniture and clothes. But don’t worry; getting a fluffy dog doesn’t necessarily mean you’ll have to spend a ton of time vacuuming. Short-haired dogs and fluffy dog breeds both shed to some extent, but exactly how much is more dependent on breed than coat type. 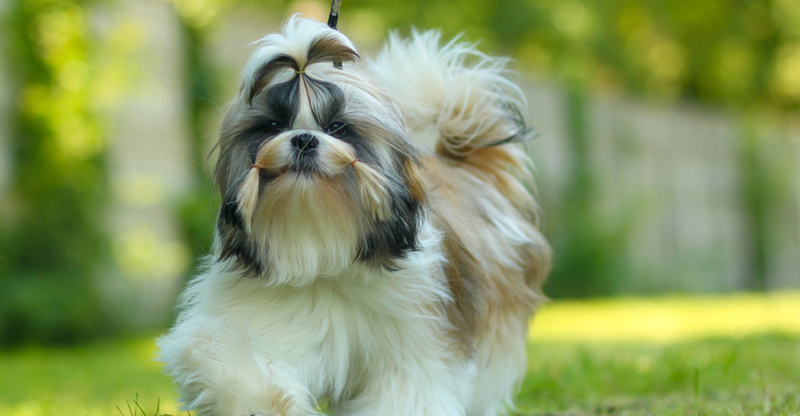 Some short-coated breeds, like the Labrador Retriever, may actually shed more than long-haired varieties, like the Shih-Tzu. With almost all dogs, you can expect some hair around the house. Luckily, regular grooming can help keep things under control. How do you groom a fluffy dog? Some fluffy puppies need to be brushed daily. Others can get by with grooming once a week or every few days. Get to know your dog’s coat to determine a proper grooming schedule. In addition to brushing, many fluffy dogs require regular baths. How often will depend on your dog’s breed and activity level, and you’ll want to make sure to use a dog-safe shampoo and conditioner. If your dog has a double coat, he’ll need different grooming tools than his single-coated canine cousins. Choose the right brush and comb for your dog’s coat type. If you’re unsure which brush to bring home, your veterinarian can provide a recommendation. While these areas don’t need maintenance on a daily basis, they shouldn’t be overlooked as a part of your regular grooming routine. Use a damp cloth or cotton ball to clean ears and nose wrinkles as necessary, brush teeth often and keep your dog’s nails trimmed for healthy feet. With longer-coated dogs, you may want to keep this area trimmed, as it will help keep your pup’s fur from getting soiled. Reward your dog when he’s done well, never force him into a grooming session and have patience while you work. You want grooming to be something you can both enjoy. If tackling nail trims or baths isn’t your thing, or your dog’s coat needs some extra care, don’t be afraid to head to the groomer for help. Which fluffy dogs are the most popular? This short list of fluffy dog breeds is a great place to start, but keep in mind that the best fluffy dog for you depends on factors like activity level, lifestyle and personality. This fluffy dog is active and highly intelligent. He does best with a job to do, and needs mental and physical stimulation each day. The breed is known for distinctive blue eyes and traditional blue merle coat, though his fur can come in a variety of colors. 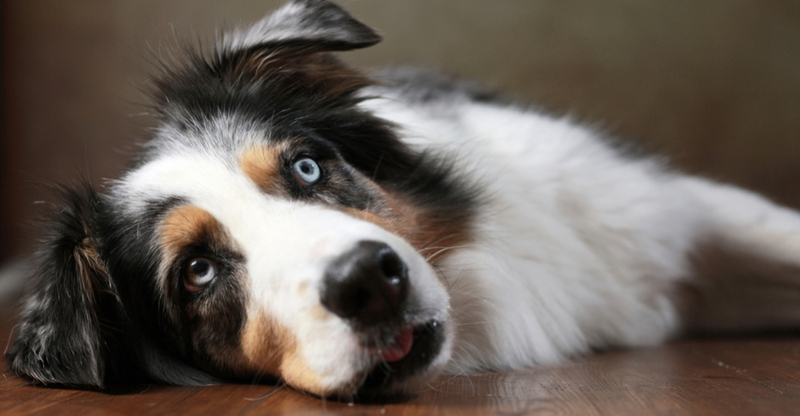 Grooming Needs: Australian Shepherds lean to the heavier side of shedding and should be brushed a few times a week. They don’t require much trimming, but depending on activity level, may need a bath every month or two. This small, white fluffy dog makes a sweet family pet. He is gentle with children, takes to training easily and has a companionable personality that makes him perfect for snuggling. Grooming Needs: The Shih-Tzu may be a fluffy dog, but he isn’t prone to shedding. His coat is long, however, and needs brushing daily to keep from tangling and matting. As one of the (mostly) white fluffy dog breeds, the Shih-Tzu can also benefit from baths to keep that coat clean, and a trim every month or so to remove dead hairs. This fluffy little dog is known for his confidence and signature smile. Underneath that puffy coat, he’s perky and brimming with personality. Because of their small size, Pomeranians typically do better with older children, but they’re loyal and tend to bond closely with their families. Grooming Needs: Pomeranians may have a ton of fluff, but they’re not heavy shedders. That thick, double coat is blown about twice a year, and they’ll need to be brushed 2 to 3 times a week and trimmed every few months. Chihuahuas are lively loyal, and devoted little dogs. They make a great match for owners who like their pups with a little personality. They’re not the prototypical fluffy little dog, but long-haired varieties are plenty soft and fuzzy. Grooming Needs: Long-haired Chihuahuas shed moderately and should be brushed about 2 to 3 times a week, along with trimming every 2 to 3 months. These active dogs are natural athletes, with high energy and high intelligence. They need plenty of exercise and mental stimulation and make a great fit in active households. 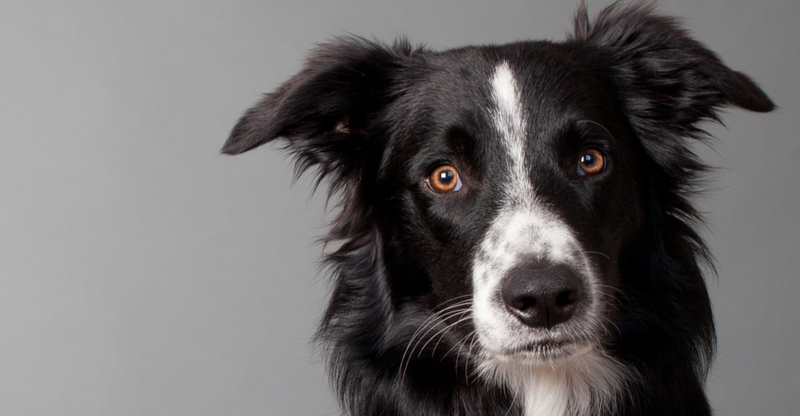 Grooming Needs: The Border Collie’s long, fluffy coat should be brushed about twice a week. Depending on activity level, he’ll also need regular baths and trims. 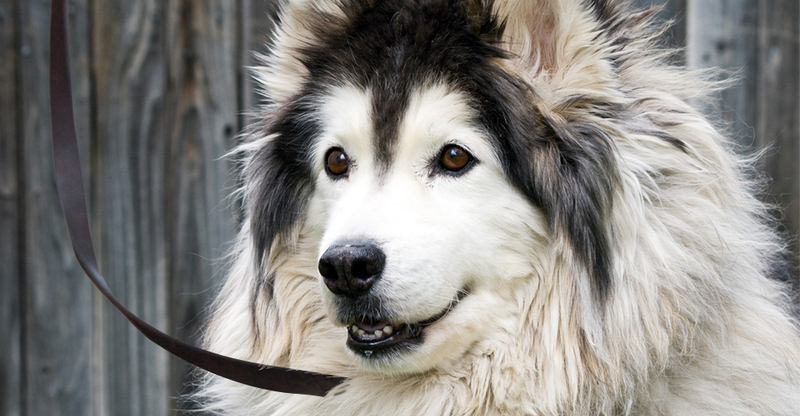 Independent and energetic, the Alaskan Malamute is the quintessential active dog. They love to run, walk and explore and enjoy spending time outside. They’re also loyal and family-oriented, and generally sociable toward people. Grooming Needs: The Alaskan Malamute should be brushed 1 to 2 times a week, slightly more often when shedding. Adventurous just may be the perfect word to describe these big, fluffy dogs. They love to run, romp and explore and need quite a bit of exercise, so they do well with active families. They’re social, clever and not-too-shy when it comes to cold weather, so if you don’t mind bundling up for walks and enjoy getting out to explore, this might be the perfect pal for you. Grooming Needs: Huskies should be brushed 1 to 2 times a week, more often when they are blowing their coats. During this time of heavier shedding, they may need to be brushed daily. Underneath all that fur lies a dog who’s dignified and independent. Chow Chows are serious and stoic, and some may benefit from early socialization and training. They need a moderate amount of exercise and enjoy walks with their people and occasional time outside. Grooming Needs: Chow Chows may be smooth-coated or rough-coated. The former needs brushing weekly, while the latter should be brushed around every other day. Both should be groomed daily when shedding. 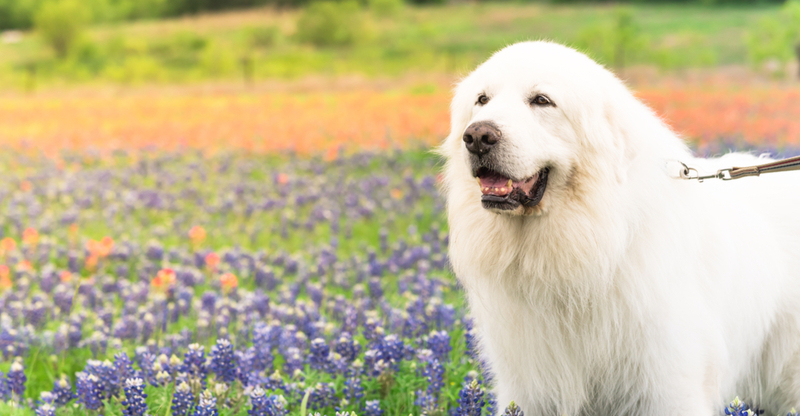 Majestic and faithful, the Great Pyrenees is one of the largest of the white, fluffy dog breeds—and he definitely makes a statement. He’s loyal to family but can be reserved with strangers. Because of his large size, he needs adequate outdoor exercise or room to romp on a regular basis. Grooming Needs: Much like other big, fluffy dog breeds, the Great Pyrenees sheds year-round, and has a thick, double coat that should be brushed a few times a week. He should also be bathed about every 3 to 4 months. Caring and calm, the Newfoundland is an excellent family dog. He’s easily trainable, sociable and friendly. Because of his big size, he should get daily exercise, but is typically content with a daily walk or short romp. Grooming Needs: The Newfoundland should be brushed about twice a week and bathed every few months. His big, fluffy coat sheds dirt easily, but some are prone to drool. Of course, there are quite a few more dogs that fit the fluffy bill—ranging from big, fluffy dog breeds to small, fluffy dog breeds. Check them out here for additional information, and find out about their grooming needs, temperament and activity levels. There are also plenty of fluffy puppies and dogs waiting to be adopted near you. So what are you waiting for? Find a fluffy buddy to bring home now. Note: While the breeds in this collection tend to be fluffy, individual pets will vary. Please consult the adoption organization for details on a specific pet. This fluffy dog is active and highly intelligent and does his best with a job to do. This small, white fluffy dog makes a sweet family pet. 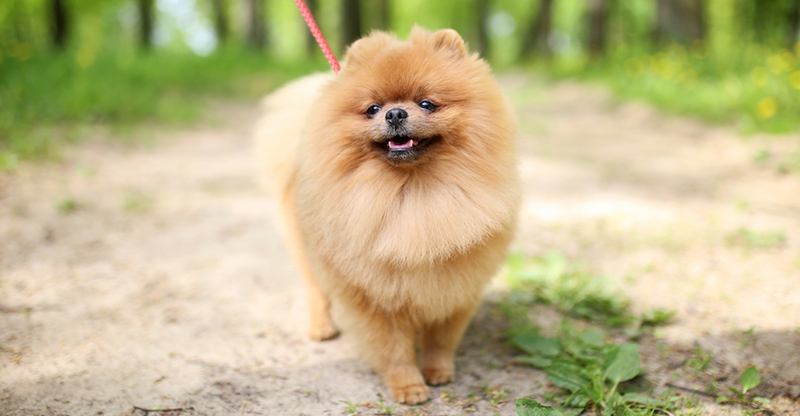 Because of their small size, Pomeranians typically do better with older children. 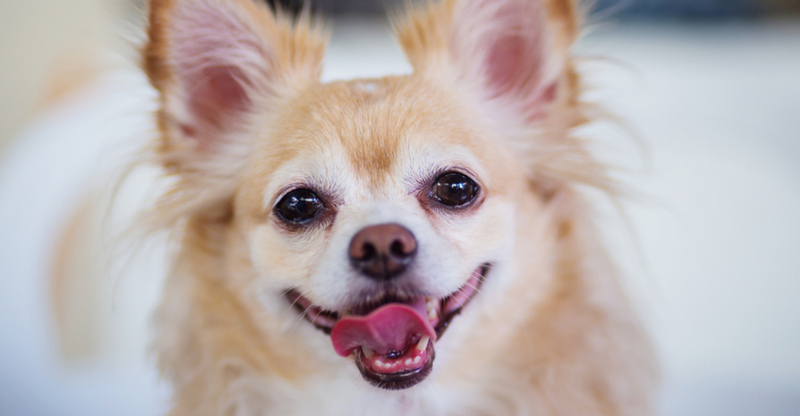 Chihuahuas make a great match for owners who like their pups with a little personality. These active dogs are natural athletes, with high energy and high intelligence. Alaskan Malamute love to run, walk and explore, and enjoy spending time outside. 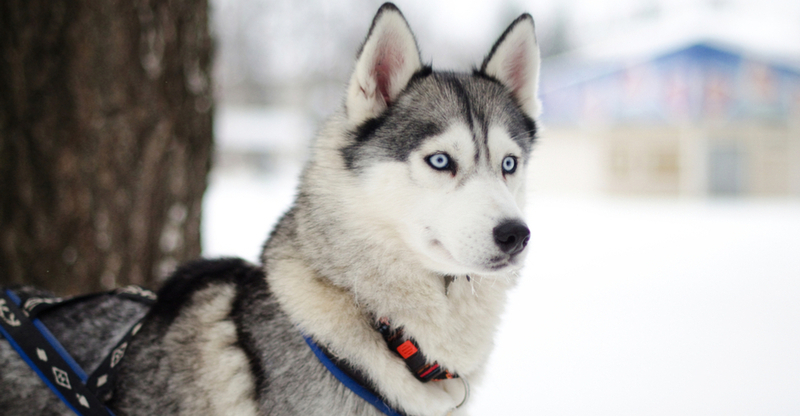 Huskies love to run, romp and explore, and need quite a bit of exercise, so they do well with active families. 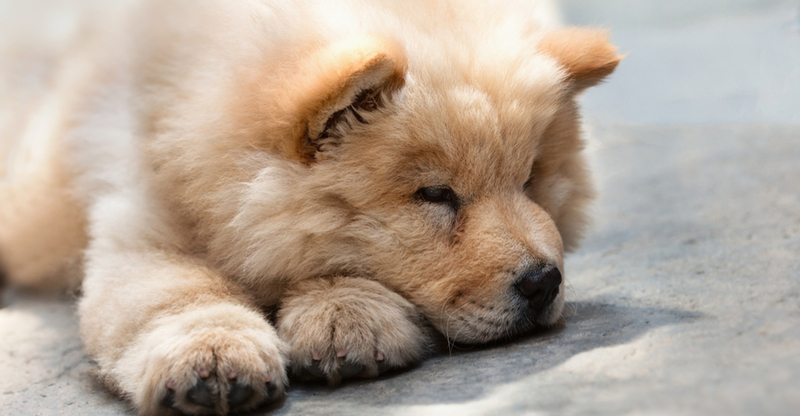 Chow Chows are serious and stoic, and some may benefit from early socialization and training. Majestic and faithful, the Great Pyranees is loyal to family but can be reserved with strangers. 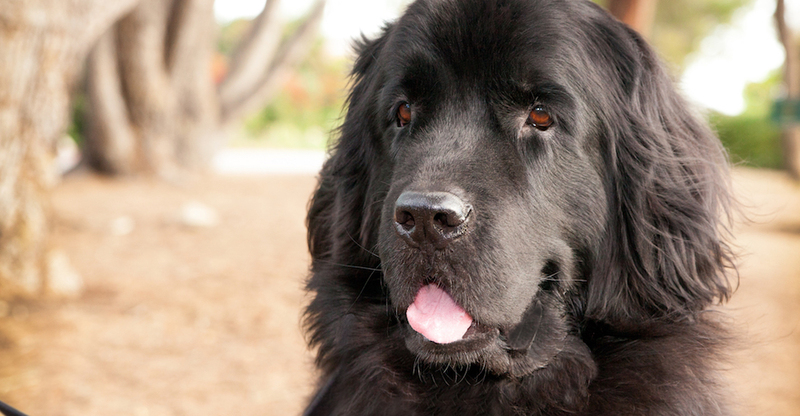 Caring and calm, the Newfoundland is an excellent family dog. He’s easily trainable, sociable and friendly.